The word 'Arogya' means good health and 'Vardhini' means which improves. 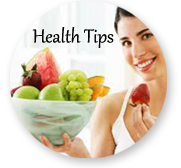 This formulation improves overall good health. It is used in all the three Dosha imbalances. More specifically, it is used for all skin diseases- Psoriasis, Acne, Eczema, obesity, jaundice, fatty liver. It is good for a lack of appetite, indigestion, and constipation. Shuddh Parad - it acts as an excellent hepato-tonic, hepato-protective and anti-oxidant. It is also a very good laxative and diuretic. Mercury, well purified has such medicinal properties. It makes the person very strong and increases the immune power. Shuddh Gandhak - Purified Sulphur is an excellent rejuvenator. It is effective in treating liver disorders and various skin diseases. By nature, it is digestive and carminative. It is an excellent remedy to flush out the toxins from the body. It acts like a catalyst for Shuddh Parad i.e. it enhances the power of Parad in curing the disease. It is also helpful in curing intestinal worms and enlargement of spleen. Lauh Bhasma - Acts as a powerful haematinic, diuretic and useful in treating various liver disorders, anemia and jaundice. The purified Bhasma is readily digestible and enhances the functions of the liver. It is also useful in reducing edema, swelling etc. It is also helpful in improving the blood count in a natural way and good for general debility. Abhrak Bhasma - it is helpful in curing skin diseases and those who are emaciated and weak. It is effective in treating liver disorders and enlargement of spleen. It is useful in curing anemia. It also serves as an anti-pyretic and useful in curing debility, gynecological disorders, and anemia, bleeding disorders etc. it acts as digestive stimulant and carminative and hence it is also useful in conditions like loss of appetite, hyperacidity, burning sensation etc. it is a very good rejuvenator and it serves multiple benefits. Tamra Bhasma - it is an effective remedy for all kind of Liver disorders and enlargement of spleen. Sometimes, in case of liver disorders it tends to secrete the bile in fewer amounts and thus results in the formation of stones. In such cases, the Tamra Bhasma serves as an effective remedy. Also it tends to control when the secretion is more. On the whole, it is a hepato- protective. It also acts as a digestive stimulant and carminative. 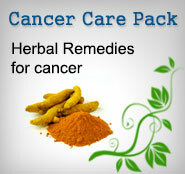 It is also useful in treating loss of appetite, inflammation, anemia, peptic ulcer, hyperacidity and skin diseases. Terminalia chebula - it is astringent and laxative in nature. It is a well known herb effective in treating Yakrit Vikaras (Liver disorders). It is effective in treating fatty liver, cirrhosis of liver and even in such liver disorders caused due to the excess consumption of alcohol because of its nature of flushing out the toxins of the liver. It is a wonderful remedy to reduce the unwanted fats and balance the cholesterol levels. It is an excellent anti-oxidant, serves multiple benefits and is a well known rejuvenator. Terminalia belerica - the herb is a laxative and valuable remedy for digestive disorders. It is a very effective anthelmintic. It has styptic property and hence useful in arresting bleeding. It is also useful in treating cough, hoarseness of voice and calculi. Emblica officinalis - it is anti-bacterial, carminative, hypoglycemic, stomachic, hypotensive and astringent action. It is acrid, cooling and diuretic. It has anti-oxidative, anti-hepatotoxic, immuno-modulator and resistance building properties. It helps in controlling blood pressure. It is useful in treating ulcers, hyperacidity and jaundice. It is also a natural diuretic. Shuddh Shilajatu - it is effective in renewing vitality. It acts as like nectar. It has powerful anti-oxidant properties and thereby delays aging. It is useful in treating kidney diseases, liver diseases, digestive disorders, mental illness etc. it also has anti-inflammatory and anti-microbial properties. It also helps in alleviating the body's excessive heat. It helps liver to work normally therefore helps in proper secretion of all the juices and enzymes important for proper metabolism in body. Because of its laghu (light) and ruksha (dry) nature, it is also useful in treating diabetes. It is also effective in improving one's immunity and bodily strength. Commiphora mukul (Purified) - it helps in getting rid of cholesterol by converting it into bile. It is an effective remedy for removing the unwanted fats and balancing the cholesterol levels because of its property of regulating cholesterol metabolism. It acts as anti-inflammatory and is also useful in treating indigestion and jaundice. Plumbago zeylanica - it is effective in treating digestive disorders like loss of appetite, indigestion, piles, worms, colitis, ascitis and liver diseases. It improves the functions of the liver and augments appetite, improves digestion and relieves constipation. Picrorrhiza kurroa - The herb has shown effective therapeutic action in liver disorders. It is effective in liver damage caused by chemicals such as carbon tetrachloride, paracetamol, galactosamine and even alcohol. It is useful as laxative, liver-stimulant, appetite stimulant, and febrifuge. It is also beneficial in treating bronchial asthma, ascites, dyspepsia and epidemic jaundice. It is also used to ease stomachache, and is believed to promote appetite. The herb is also effective in treating urinary disorders, hiccup, bleeding disorders, burning sensations and skin diseases. Pharmacology - Hepatotonic, Blood purifier, Antimicrobial, Digestive, Carminative, Anti-pyretic, Haematinic and Cardiac tonic. Indications - Liver disorders, Fatty Liver, Cirrhosis of Liver, Anemia, Jaundice, Skin diseases and Loss of appetite. Dosage - 2 tablets twice daily or as directed by the Physician.